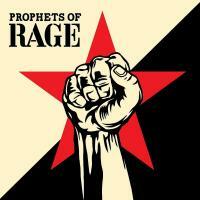 Titre(s) Prophets of Rage [CD] / Prophets of Rage. Contient Radical eyes. http://www.gamannecy.com/polysson/201709/01-0888072032767.mp3. - Unfuck the world. http://www.gamannecy.com/polysson/201709/02-0888072032767.mp3. - Legalize me. http://www.gamannecy.com/polysson/201709/03-0888072032767.mp3. - Living on the 110. http://www.gamannecy.com/polysson/201709/04-0888072032767.mp3. - The counteroffensive. http://www.gamannecy.com/polysson/201709/05-0888072032767.mp3. - Hail to the chief. - Take me higher. - Strenght in numbers. - Fired a shot. - Who owns who. - Hands up. - Smashit.